Mikoshi – A divine portable shrine of Shinto, which is considered to be a vehicle for the deity which usually sits inside the shrine. A portable shrine comes with various decoration and at the time of Shinto festival, it becomes the main attraction of it. 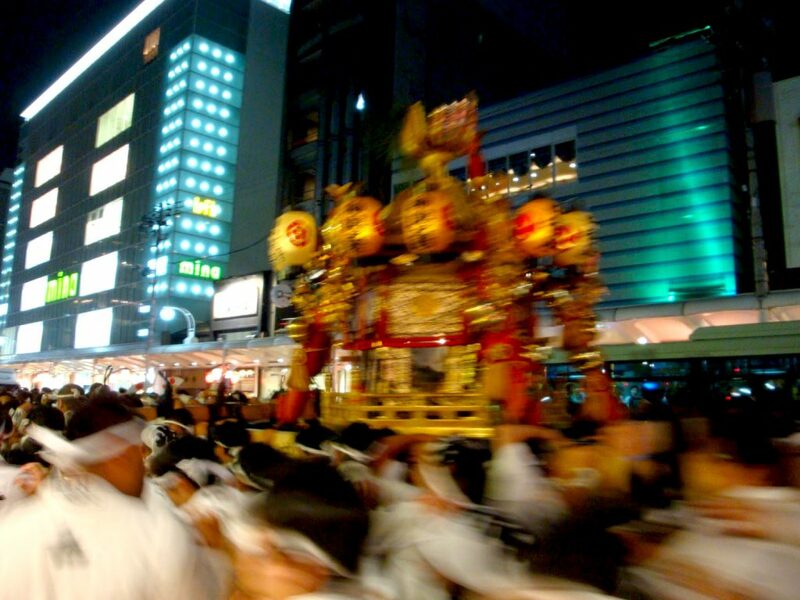 Let’s take a look at its origin and characteristics of mikoshi. There is no absolute origin story of the portable shrine, yet some plausible ones are out there. 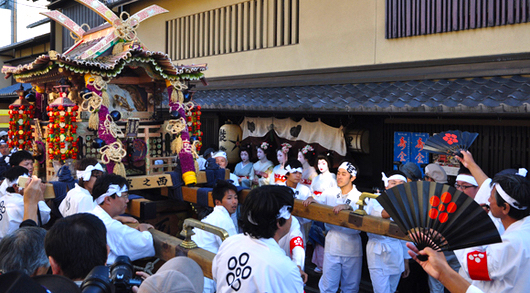 The word mikoshi is divided into two words, ‘mi’ adds politeness and ‘koshi’ means a palanquin. One story goes like this. At the times of hunting and gathering, people didn’t settle down in one place but were supposed to be moving around. So that when they had a festival for the harvest, they made the kind of an altar for celebration and then it was dismantled each time they moved. After they settled down in one place, they built a shrine for the deity as an abode, an altar idea was inherited to a portable shrine. 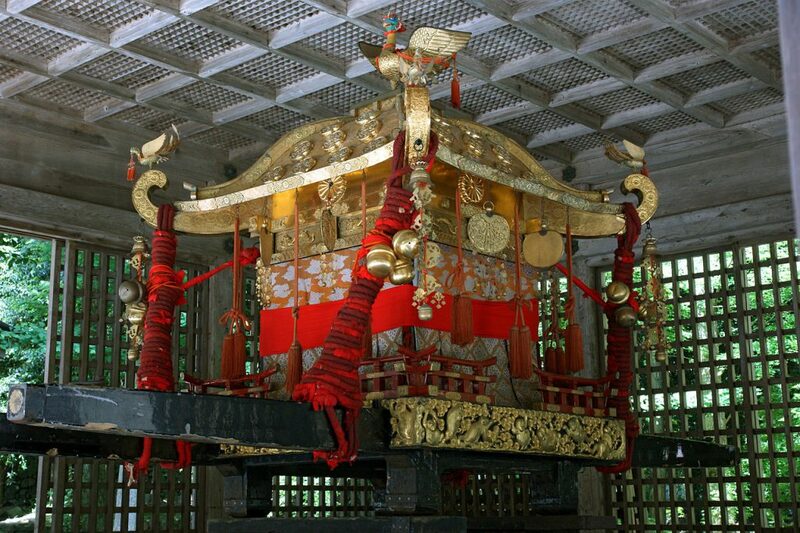 It’s said that the Imperial Court made the first portable shrine at Usa Hachimangu as a prayer for national peace due to the riot in Kyushu in 720. In 749, female priests of Usa Hachimangu visited Nara when they began constructing the Great Buddha Statue (Vairocana Buddha) in Todaiji. They came in with the Mikoshi (which was called ‘renyo’) with golden Ho-o (Chinese phoenix) on top. 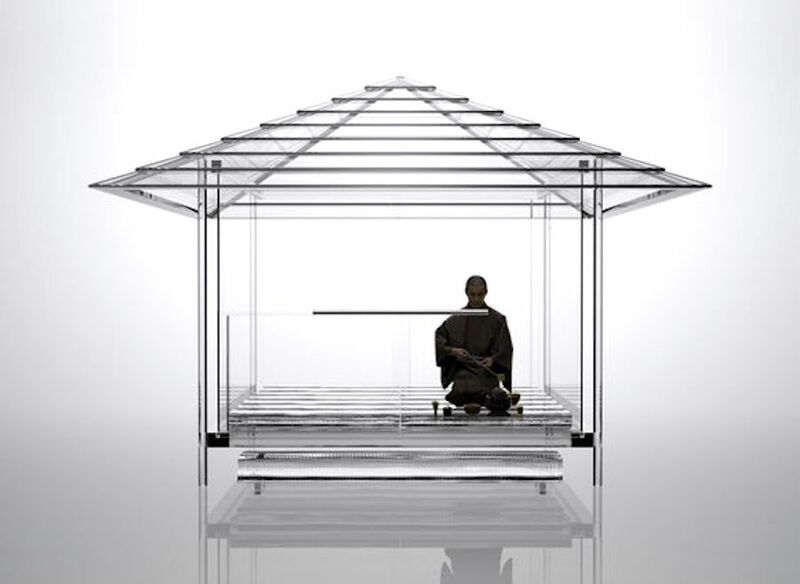 It’s considered to be a prototype of the portable shrines we see today. In the Heian period (794-1185), a lot of shrines like Hiyoshi Taisha in Shiga, Kitano Tenmangu in Kyoto began constructing their portable shrines. They designed a portable shrine like the real one by adding a crest, torii-gate, tamagaki (fence around a shrine) and parapets. Just as described, culture of mikoshi spread from Shiga, Nara and Kyoto area to all around Japan. 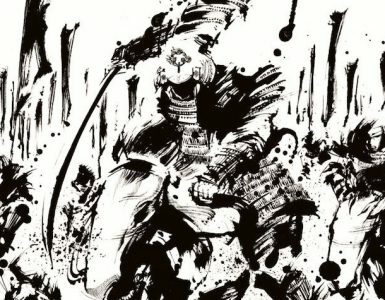 Ho-o appears in all Eastern Asian countries including Japan and used as an ornament in places. Also, Ho-o appears in many tales, stories, and lectures as a symbol of good omen. 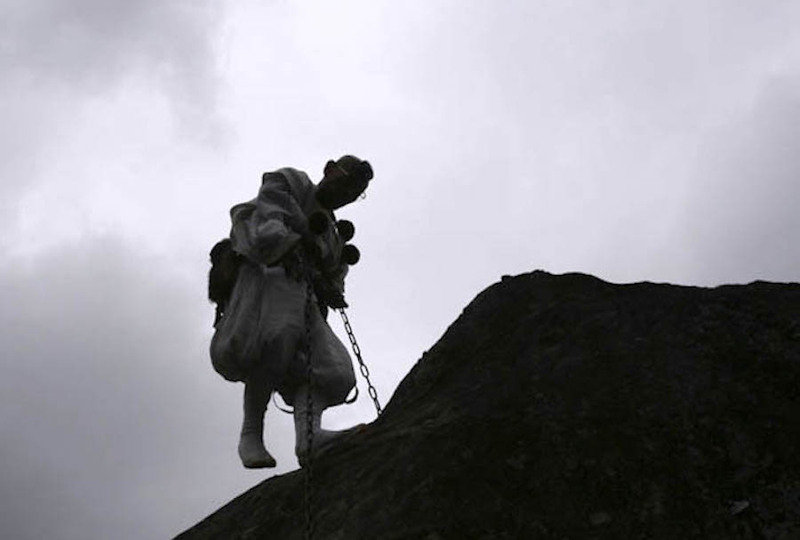 That’s why we see Ho-o on the top of many portable shrines. 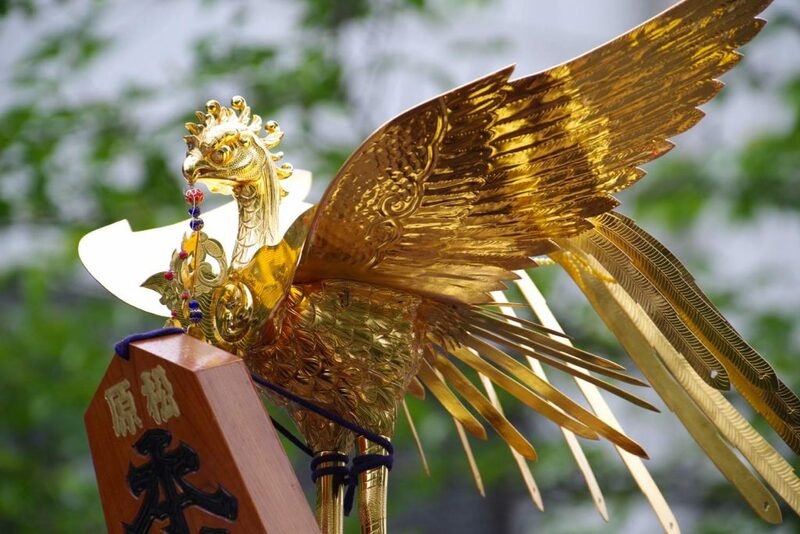 What’s put on the top of a portable shrine is not only Ho-o (Chinese pheonix), but also you see giboshi. Giboshi is an onion-shaped ornament, you can find it on traditional architecture like Shinto shrines, Buddhist temples, bridges and so on. One theory says giboshi comes from Buddhist orb, and its shape comes from cinerary urn of Buddha or from inside the dragon’s head. 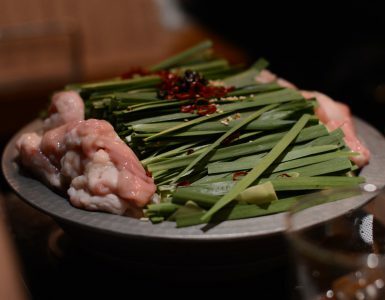 One of other theories is giboshi comes from a leek head. 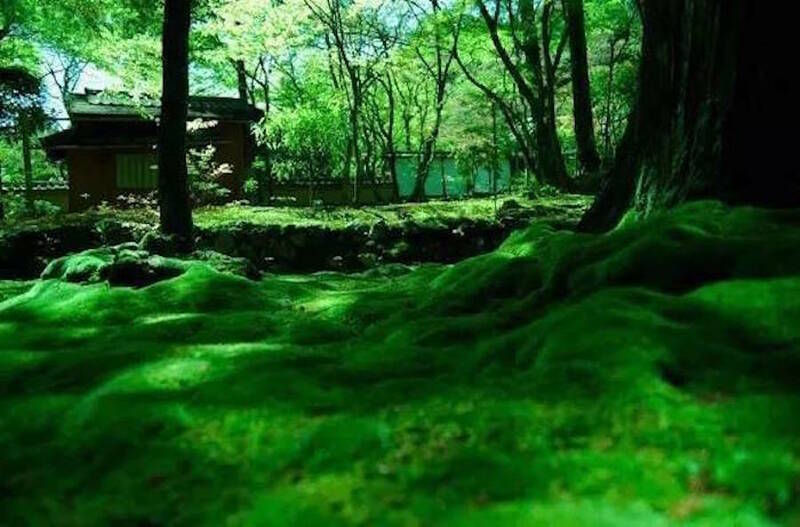 Since leak has a strong smell which is believed to shun the bad as a talisman. The Ark of the Covenant (Hebrew: אָרוֹן הַבְּרִית‎‎ ʾĀrôn Habbərît), also known as the Ark of the Testimony, is the gold-covered legendary wooden chest topped with two large, golden angels built by the Israelites. It is described in the Book of Exodus as containing the two stone tablets of the Ten Commandments. According to various texts within the Hebrew Bible, it also contained Aaron’s rod and a pot of manna. 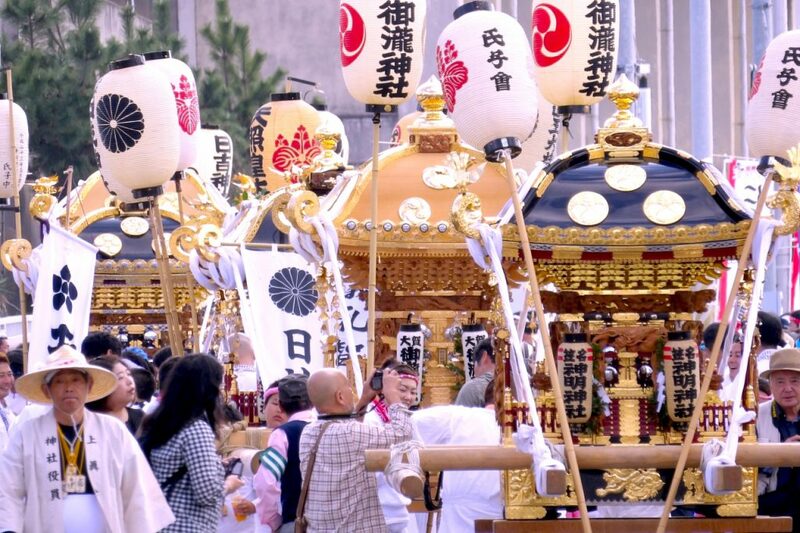 While there are many differences, it still is interesting to note that there are some similarities seen between mikoshi and the Ark of Covenant. 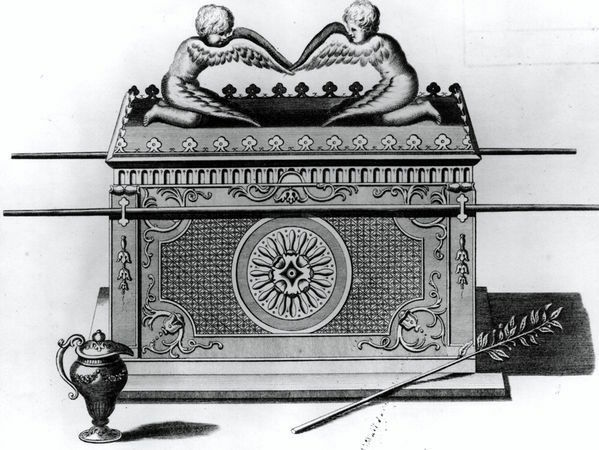 Such as both are about the same size portable shrine with gold covered body, with the being with have feathers on top and two poles to carry around. You take a look at the roof of the portable shrine, you see elaborate beauty there. Mikoshi makers intended to make mikoshi look grand, especially the roof where people can see the most. 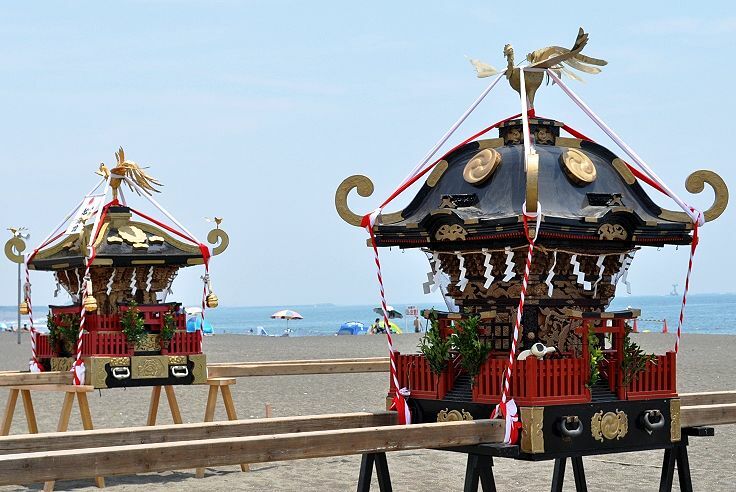 In attempt to make the roof look grand and magnificent, mikoshi makers made body part smaller compare to the roof, which requires exquisite timber work. They don’t use a single nail, but put blocks together and make it sturdy enough to support the roof and flexible enough to the hard swing during the festival. Mikoshi makers put their heart in mikoshi, they made elaborate wood carving even this part can’t be seen when bearers carry it. 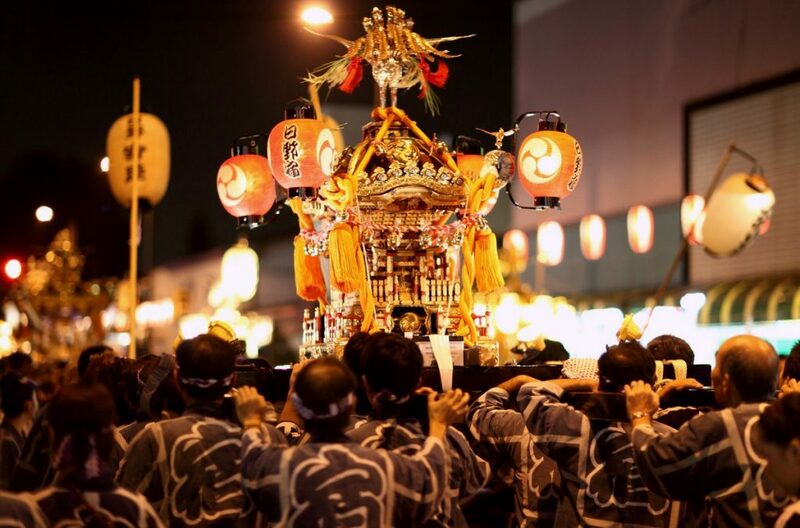 They use imagination to the fullest to make mikoshi look more cool and beautiful by using their consummate skills. “Wasshoi, wasshoi!” The Mikoshi bearers shouting out along the street, it’s considered their chanting brings light around neighborhoods. Even if you don’t know what they chant, you can feel the excitement. 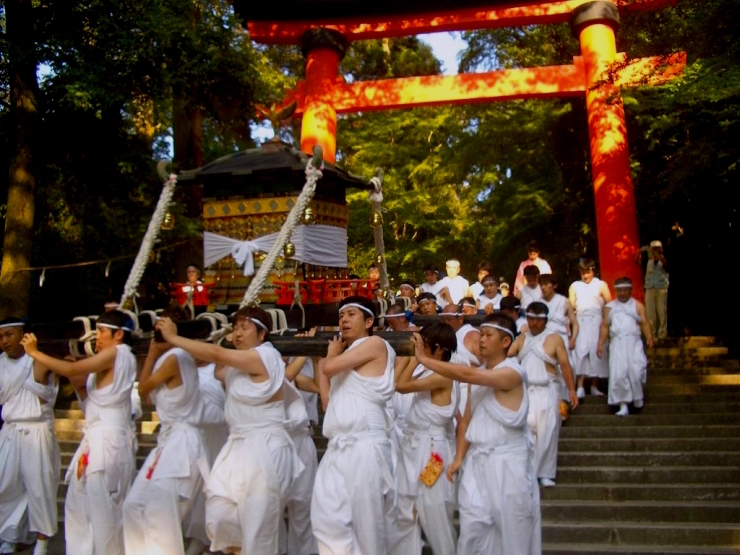 The mikoshi is supposed to be carried by the people who come from the same community. Usually, preparing for the local festival taks a whole year and this whole process of preparation bring the community togehter. 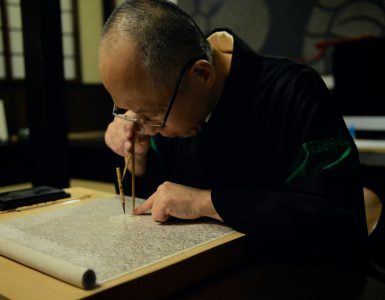 Washi-seoe is considered to be the original words of ‘wasshoi’ which means everybody gets together and be cooperative beyond status, interest, and emotions, otherwise, you can’t carry the portable shrine. Also, there are varieties of chant you hear like “Soiya-soiya”, “Essa-essa” which all is said to have a meaning of doing things together in a cooperative manner. During a matsuri (Japanese festival) involving a mikoshi, usually, young men bear the mikoshi on their shoulders by means of two, four (or sometimes, rarely, six) poles. They bring the mikoshi from the shrine, carry it around the neighborhoods and in many cases leave it in a designated area, resting on blocks called uma (horse), for a time before returning it to the shrine. Some shrines have the custom of dipping the mikoshi in the water of a nearby lake, river or ocean (this practice is called o-hamaori). At some festivals, the people who bear the mikoshi wave it wildly from side to side with chant to “amuse” the deity (kami) inside. Matsuri is Japanese people’s heart. 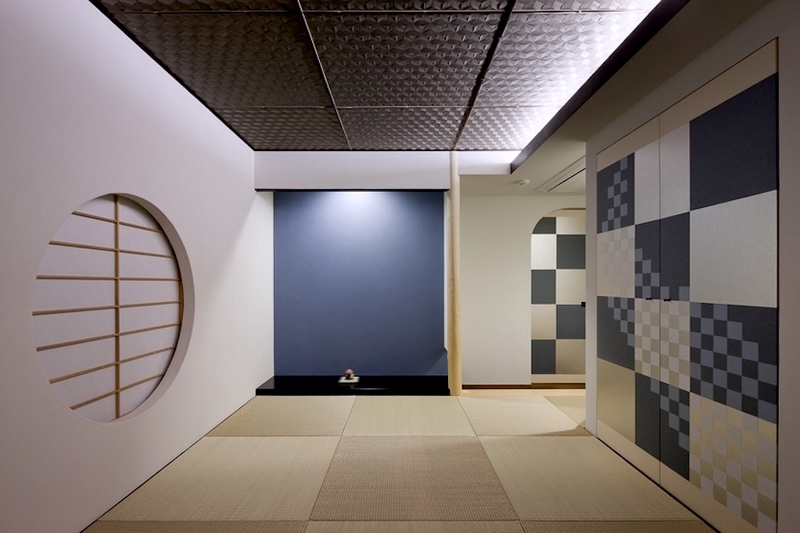 Matsuri is a medium to get people together, make them connect to each other and provides a stage for people to let them release the daily chores. As they see a beautiful portable shrine swings and hear the chant, they get excited and amused along with the deity, kami.